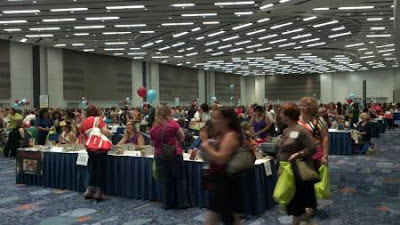 When I registered for the Romance Writers of American 2012 National Conference in January, I wanted my experience at RWA12 in Anaheim to be energizing and motivational. I needed that motivation after a long dry spell since my first book, CHASING SHADOWS, was published in 2008. May 2012 changed all that. As I set off in my speedy Camaro to drive to Anaheim from Northern California, I was already filled with energy, motivation, and excitement. I now had a contract from Crimson Romance (an imprint of F+W Media) to publish my second book, WICKED PARADISE, which releases to the world on Monday! I viewed the conference in a new light, wanting to learn more about social media and promotion for my upcoming release. Of course, networking and meeting friends was still a top priority! 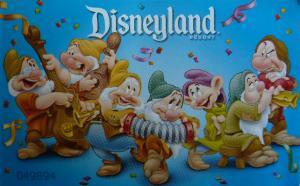 I arrived at the Anaheim Marriott Wednesday afternoon after a 6-hour drive. 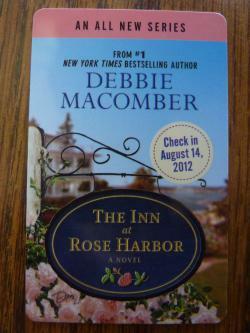 Our room card keys were appropriate for 2000+ romance authors, publishers, agents and other industry professionals. First thing, I met up with my writing partner, Jen. We had met online a few years ago, each looking for a writing/critique partner. At the time, she lived & worked in the mid-west, but soon moved to California. Then we found out we worked in the same town. Yet, we hadn’t ever met in person! It was finally great to put a face to the name and to hang out with her throughout the conference, talk shop and catch up on our lives! After checking in and getting a goody bag full of books at the registration, I skipped next door to the Literacy Signing…a huge room full of published romance & women’s fiction authors from Nora Roberts (who had the longest line of eager fans) to debut authors excitedly signing their first book. The event was open to the public at the Anaheim Convention Center and all proceeds from the signing were donated to literacy organizations. I excitedly met Mary Kay Andrews, one of my favorite women’s fiction author. Of course, I just had to buy her newest release and have her autograph it! After dinner out with Jen, I endured hotel maintenance in my room for 2 hours while he fixed a leaking faucet. He couldn’t have come to my room while I was gone? Nope. Had to be when I wanted to sleep before the next event-filled day. Sure, I could have sent the guy away…but he assured me it wouldn’t take long. Seriously? 2 hours? Thursday took me to workshops like “360 Degrees of Promotion,” “New Paradigms in Publishing,” a publisher spotlight on Carina Press, and an interesting Keynote Luncheon speech on the state of print & eBook publishing by author Stephanie Laurens. It wasn’t quite the motivational speech normally reserved for the luncheon keynotes—which surprised many people. Kudos to Stephanie for speaking her mind! Thursday cocktail hour took me to a Van Gogh Vodka sponsored event, “Romancing the Cocktail.” We tasted three different vodka cocktails made with pomegranate, chocolate and peach vodkas (not mixed together, thankfully). The chocolate concoction was my favorite. Below is a snapshot of our goody bag as we stumbled out of the room. And that’s all I’m gonna say about the vodka party. 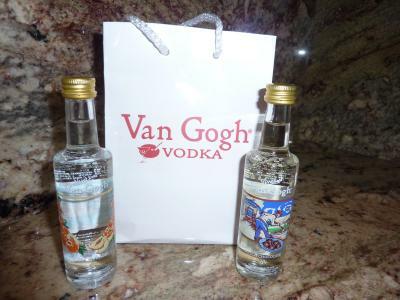 What happens at the vodka party, stays at the vodka party. After Thursday cocktail hour, the Crimson Romance authors met up at Buca di Beppo for an awesome, family-style Italian dinner. It was great meeting many of the Crimson authors who I’ve only recently met online. Plus, F+W Media’s knowledgeable Digital Merchandising Marketer joined us for dinner, and afterward, she let us pick her brain about promotion and marketing. The Crimson Romance authors are a wonderful, supportive group of ladies. A fun evening was had by all! Friday brought more workshops, networking and hanging out with writerly friends (old and new), and a great Keynote Luncheon speech by author Robin Carr. Friday also introduced the publisher book signing events, which carried through to Saturday. Each publisher sponsoring a book signing had their own room where you could meet your favorite authors and new authors, and have them autograph their newest book for you. 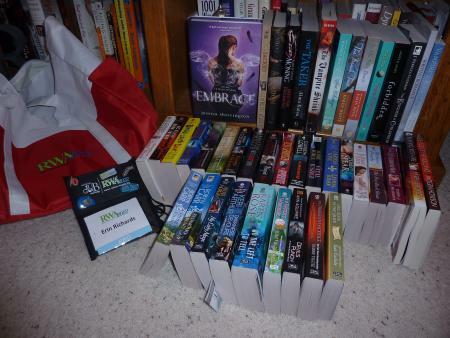 Unlike the Literacy Event, these books were free and a big highlight of the RWA convention. It seemed like everywhere you turned, there were free books for the taking. We even had books from the Luncheon Keynote speakers on our chairs at the lunch tables. Here’s my stash of books (including the row on the shelf) ….and I didn’t even make it to all the book signings. Exhausted, but even more motivated, I returned home on Sunday to step-up my promotional efforts for WICKED PARADISE. There’s so much to do, but I can honestly say my arsenal of knowledge about promotions and social media is now full and I’m ready to put in place some of the tricks of the trade I learned, in the coming weeks and months. One thing I heard repeatedly: you never stop promoting yourself and your books. Another thing I always hear is that an author draws readers with every book she/he writes. So I’m eager to get back to working on my next masterpiece more than anything! I don’t know when I’ll attend another RWA National Convention, but it’s an electrifying, mind-boggling experience not to be missed at least once every few years.